And here it is - after the four prior installments, The Northern Chords' Best of 2016 in concert performances concludes with the top five. Thank you for reading; Merry Christmas and roll on 2017! Cheshire’s The 1975 conquered Britain with their self-titled debut three years ago; the fact that they repeated the trick with second album I Like It When You Sleep, for You Are So Beautiful yet So Unaware of It on a worldwide scale is testament to the songwriting chops behind it. Young, pretentious, and thoroughly engaging one way or another, their early evening Other Stage set showcased a band well on the way to becoming a formidable live act. Fronted by the charismatic Matt Healy, they barrelled through an intoxicating mix of electro-funk and alternative rock, grounded in eighties pop, with Love Me, The Sound, She’s American and Chocolate all rapturously received. The 1975 may attract teenage screams – but they’re more than a flash-in-the-pan boyband, with substance that will last beyond the hype. 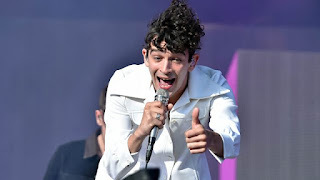 The 1975 performing live at Glastonbury in 2016. First Direct Arena, Leeds, 19.03.16. 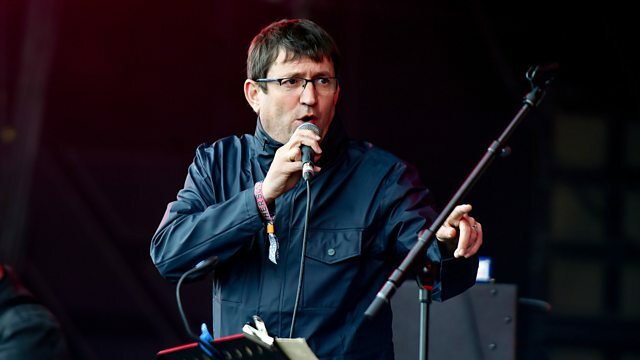 The last time Paul Heaton and Jacqui Abbott popped by Leeds, they had sold out the city’s O2 Academy in a couple of days. Perhaps it was unsurprising then, that the former Beautiful South pairing moved up to the First Direct Arena on their following visit this March, where they had the distinct honour of being one of a handful of acts to sell out the 13,500 venue. Peppering their set with material from their new albums and Heaton’s days in The Housemartins as well as Beautiful South classics, the pair’s dry wit and superb lyricism – served over a tight, lushly melodic collection of songs – allowed them to coast through with ease, with Happy Hour, Rotterdam and Caravan of Love all superb high points. An arch masterclass in British pop, delivered by two of its finest – even if one was wearing an anorak. Paul Heaton performing live at Glastonbury in 2016. Metro Radio Arena, Newcastle, 14.04.16. When Jeff Lynne announced he was resurrecting his beloved Electric Light Orchestra for a Radio 2 show in Hyde Park, he was taken aback by the ecstatic reaction. Such a warm reception led to a new record, Alone in the Universe, and, despite his reluctance to tour, a sell-out string of UK arena dates. Indeed, that hermit-like existence as a producer has only helped Lynne in the long run; his impeccable, idiosyncratic voice has been preserved to near perfection, and with such stellar glam anthems as Sweet Talkin’ Woman, Don’t Bring Me Down and Rockaria! note-perfect in recreation, his show in Newcastle was a fantasy come true. By the time Mr Blue Sky had soared above the audience, Lynne was beaming from behind his aviators and beard; an unexpected symphonic comeback sealed with style. Electric Light Orchestra performing live in Newcastle. If there was such a thing as a Glastonbury house band, surely mega-pop band Coldplay would be the logical choice. Headlining for the fourth time, on the Sunday night, few artists can match Chris Martin and company’s peerless catalogue of post-Britpop and taut dance-rock – and fewer still can match the joyous conviction with which they pour their soul into them. 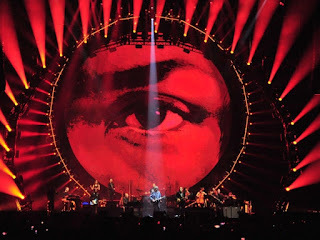 Backed by a kaleidoscopic light show and dozens of firework interludes, they threw all the hits they could – Viva la Vida, Paradise, The Scientist, Hymn for the Weekend – at the crowd, before bringing out Barry Gibb of the Bee Gees for a feelgood finale in a cover of Stayin’ Alive. To cap it off, they even brought out Michael Eavis himself, to croon through a highly touching My Way. 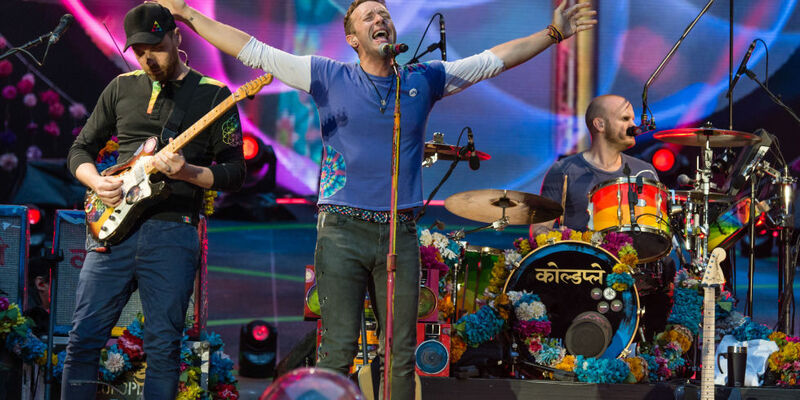 Coldplay, Glastonbury; a triumphant match made in heaven. 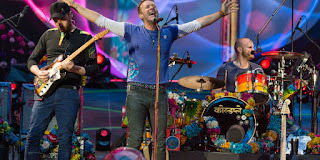 Coldplay performing live at Glastonbury in 2016. There are few artists still touring in 2016 who can carry the moniker of “legendary” as well as Bruce Springsteen. 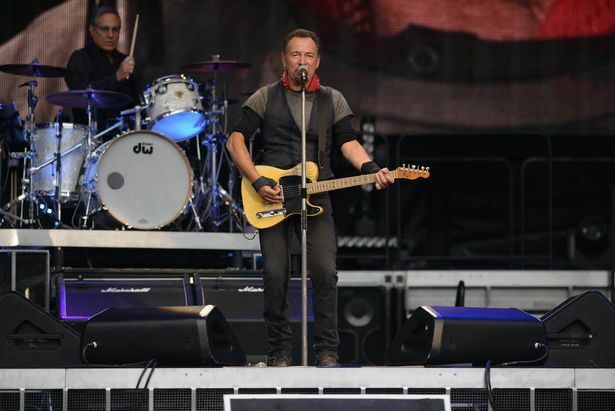 Legendary would also be an apt word to describe his mammoth live shows with the E Street Band, who into their fifth decade, are still turning out shows close to the four-hour mark. Their performance in Coventry, part of their anniversary tour behind 1980’s The River, may have only come in at a mere three hours; but with such classics like Hungry Heart, Badlands, Born in the USA and Born to Run delivered with boundless energy, skill and passion, there is little complaint. By the time he closes, alone with harmonica and guitar, on Thunder Road, the raw thrum of emotion brings a tear to the eye of thirty-odd thousand. Bruce Springsteen is called The Boss for a reason; and in 2016, he’s perhaps needed more than ever. Come on up for the rising, folks; communion has never felt so good. Bruce Springsteen performing live in Coventry in 2016.